Kristine J. Ajrouch, PhD, is Professor of Sociology at Eastern Michigan University. She is also Adjunct Research Professor at the Institute for Social Research at the University of Michigan. 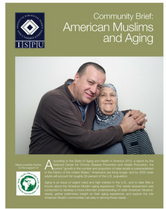 Her research has focused, for over twenty years, on Arab Americans in the U.S. beginning with ethnic identity formation among adolescent children of immigrants followed by a focus on aging from the perspective of older adults in the metro-Detroit Arab-American and Muslim communities. A core area of study concerns links between social networks and health with focused attention to how stratification and immigration influence network form and function. 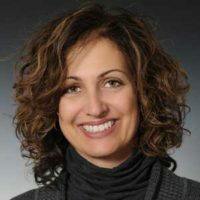 She recently initiated a program of study concerning the topic of family ties, aging and health in Beirut, Lebanon following a Fulbright award in 2008. Professor Ajrouch also studies the topics of forgiveness and immigrant integration in comparative perspective. She currently serves as President of the Society for the Study of Human Development, and works on projects that enhance global awareness and promote cross-cultural understanding. 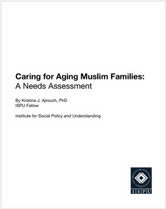 K. J. Ajrouch and N. Fakhoury, “Assessing needs of aging Muslims: A focus on metro-Detroit faith communities,” Contemporary Islam 7, no. 3 (2013): 353–72.